If you are looking to replace your kitchen or bedroom, you can contact us safe in the knowledge that you are getting value for money. Over the years, we have built up a highly satisfied customer base and aim to keep soaring through the ranks. 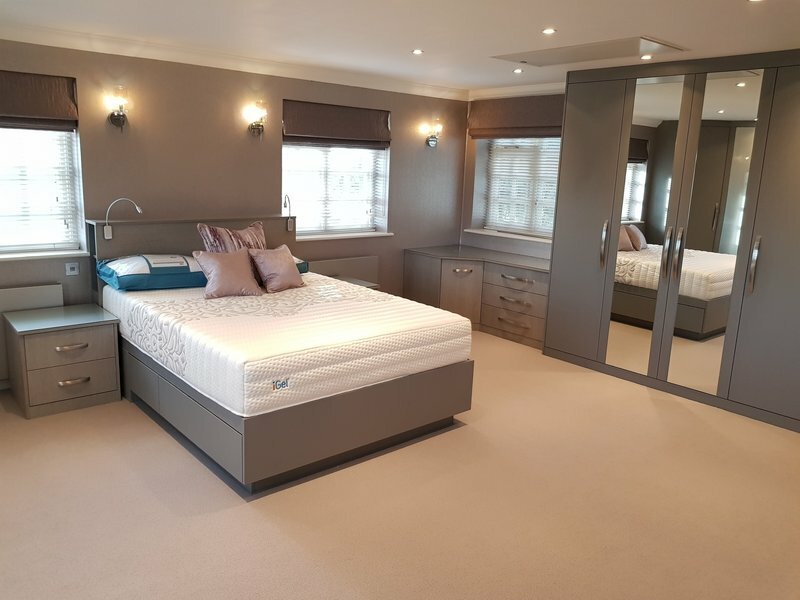 Combined with our excellent workmanship and friendly staff, Essex Kitchens & Bedrooms is the solution to any of your kitchen and bedroom needs. We provide a wide range of door styles and door colours to suit anyone's taste and including a bespoke service. We offer all services to complete your new room including electrics, plumbing, tiling, plastering--just to name a few. Other services and products we provide: loft conversions, small building works, full refits, full design process and free estimates. We recently had Essex Kitchens & Bedrooms complete our new kitchen diner to an excellent standard and finish. From the design process to the work completion, we were fully satisfied with their work. 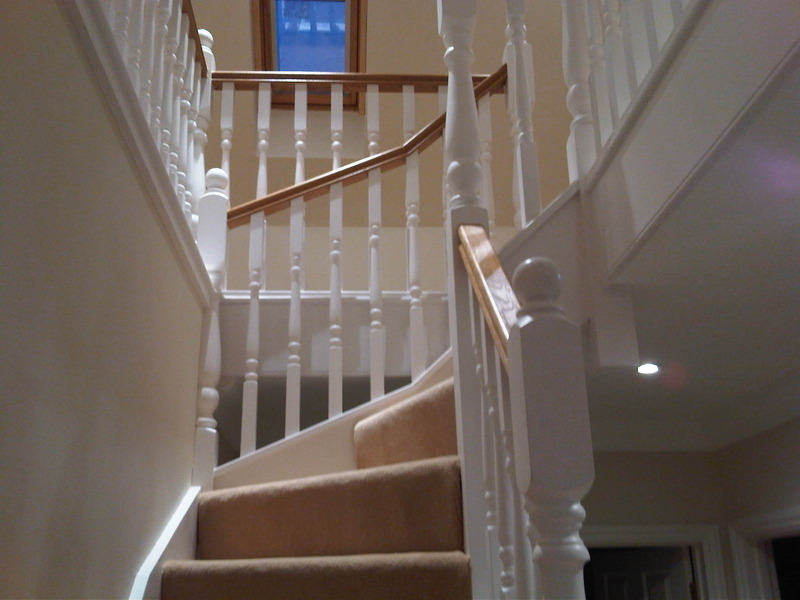 Any minor alterations required during the job were dealt with effectively and efficiently. We would happily recommend this company to others. My wife and I consulted three organisations before deciding on our chosen contractor. 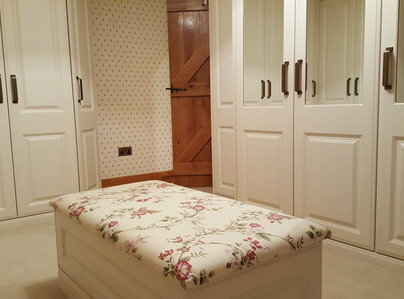 We believe that appointing our local contractor, Essex Kitchens & Bedrooms, was the best decision we could have taken. One organisation with incomparable showrooms sent us a Quality Satisfaction Questionnaire that greeted our arrival home from our first and inevitably last visit to their premises. Pressure selling! Another did not offer sufficient choice of kitchen equipment. The third was EKB who offered a personal service, great CAD design facilities and an impression that nothing would be too much trouble. It was an impression that Peter Hunt and his team justified time and again as the contract progressed and we sought to modify the contracted specification. 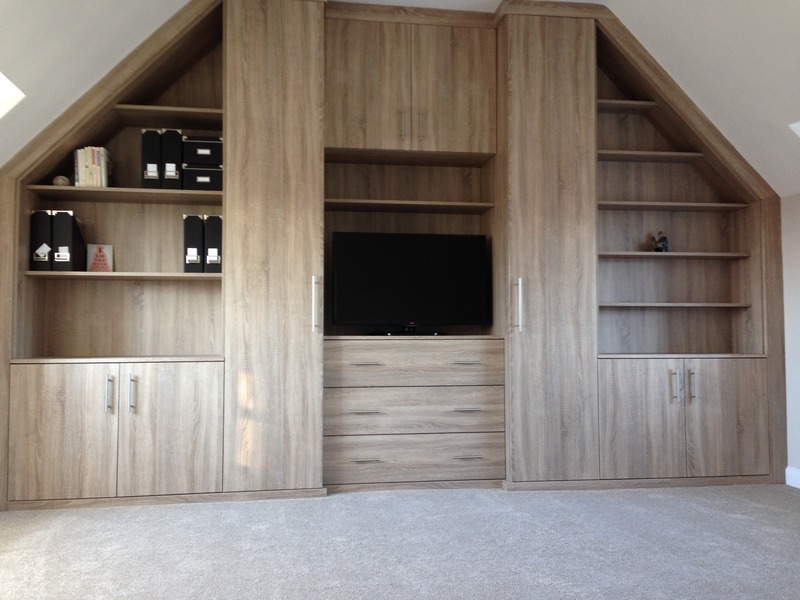 We consider that we received exemplary service and great value for money from Essex Kitchens and Bedrooms and will definitely contract with them again if or when the opportunity arises. Have used Peter and his team many times over the years for bathroom and cloakroom refit, bedrooms re-design, garage conversion & kitchen refit and wouldn't consider using anyone else! Design is always spot on for our requirements. They deliver to a high specification, without snags. Friendly team, great workers and punctual. Highly recommend. 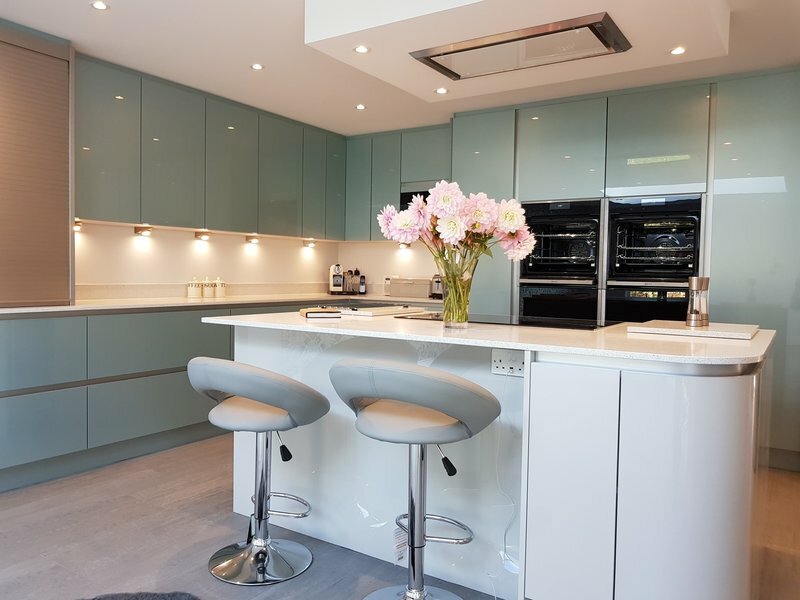 Essex Kitchens and Bedrooms remodelled the back of my house, knocking through from the kitchen to dining room, designed and installed my new kitchen. The design service was excellent and all structural issues were dealt with. Installation went well with hardly any snagging issues and these were dealt with immediately. The installers were neat and tidy and completed the work on schedule, dealing with any problems themselves and leaving me worry free! I now a have a beautiful, high quality kitchen and open plan modern dining area. A complete transformation. Over several years we have used IDM to design and install a kitchen, bedroom and now bathroom. 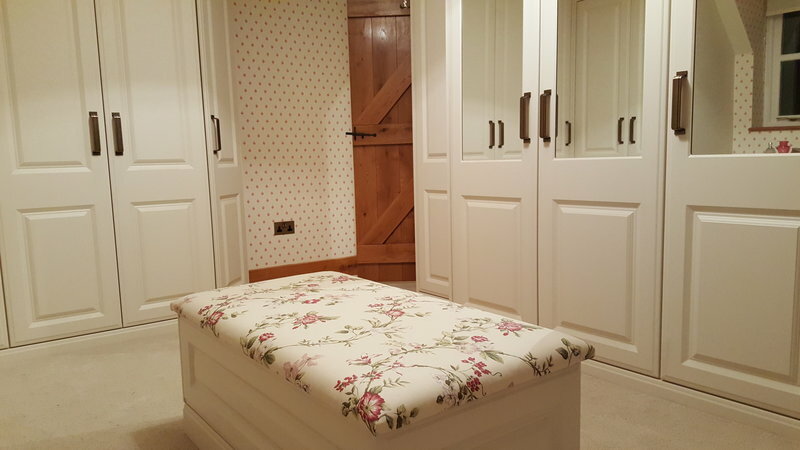 As always, the clever design and top quality workmanship result in an excellent finished product. This time they had to fit a bath, shower and storage into a tiny space by using part of a cupboard for the shower; excellent result. Very pleased with our new ensuite. Valuable design input, attention to detail and high-quality workmanship have led to a fantastic final result. Very happy to recommend to others. Re-furb/ re-design of 2 ensuites and a garage conversion. They were personally recommended but I still got 3 quotes. Pro-fit's quote was the most competitive and detailed, taking into consideration all likely building reg implications (unlike a larger builder quote that seemed designed to expose me to extra costs). They don't just fit out, they give valuable design input at every stage. 2 factors stood out for me: 1) We had a problem with the 2nd ensuite that they could have made a meal of, but instead used a lot of thought and care and resolved the matter with minimal fuss; and 2) They take great care and pride in what they do and won't hesitate to re-start something on the rare occasions something didn't quite meet their usual high standards. Several months later I've called them back for 1 minor snag that was resolved next day. It says a lot that they always have a good forward order book from personal recommendations and don't really advertise, but worth the wait and I simply wouldn't hesitate to recommend them. Very good workmanship, efficient, hardworking, on time & tidy when finished each day. Very satisfied & highly recommended.